“Melting pot” is the keyword in Hit-Kunle’s world. 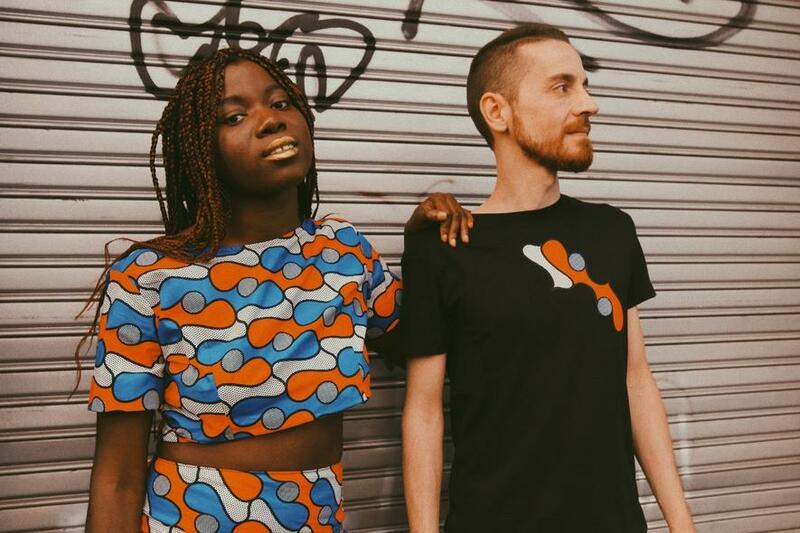 Singer-songwriter/guitarist Folake Oladun, born in 1995 with Nigerian origins, and drummer Marco Mason, supported live by the bass player Massimiliano Vio in a trio formula, come from Veneto but they look far away, in every direction. Their music is wittily self-defined “tropical rock”, and it’s an indie cocktail made with fresh fruits and some euphoric beverage, with prevailing afro-rock and funk-soul ingredients. Their moniker is a fusion between the English term “hit” and the youruba (a dialect spoken in Nigeria) term “kunle”, translatable more or less as “the hit that abundantly fills home”, because in charge of reflecting the mix of European and African influences of the songs. And so we bring home hot melodies and sparkling rhythms, under a colorful sky. In The Pot, their debut album recorded by Franz Fabiano after some EPs, was released by the Italian label Bello Records in September of 2017. The voice of the frontwoman is contagious and powerful, percussions are exotic (there are congas, bongos…), the joy in the air is almost psychedelic, electric sounds are positively energetic (listen to “May I Have Some?” or “Share Your Love”, for example) and the accelerations proceed in a punky direction. Listening relaxes the mind and at the same time launches the body into the dance. Learn to know them, while shaking well!